This post is for the mom out there who is realizing that her child is different. Maybe your baby is different from other kids his or her age. Maybe they're different from what you expected them to be. 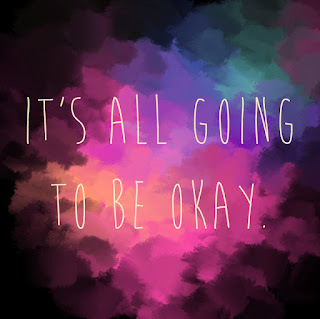 You're going to be okay. Your child is going to be okay. I think it is important to remember that. You might have some uncertain days ahead. Days might turn into weeks, and those weeks could turn into months. You could possibly have years of this ahead of you. But it will be fine. I promise. Do you know how I can make a promise like that to you? Because I've been in your shoes. I saw the differences in my son. I worried. I fretted. I still worry, and I still fret...but I know it's all going to be okay. "How do you know that?!" You ask? Because I love him. I love him for everything that he is, and everything that he will ever be. Now, that doesn't mean that everything is easy. We still have hard moments, so I cannot promise that things will be smooth-sailing from here on out. There will be trials. Things will happen that you don't understand. You might not have an answer for it, and you aren't sure what you need to do next. There will moments of sadness. You will mourn the things your child can't do. You will wish more than anything that life could be easier for them. There will be moments where you wonder "what if?" Sometimes you'll look at other kids and think, "Why my kid?" You will have days where you cry. There will be worries. There will be uncertainties and unknowns. You won't always have the answer, and that's hard. Really, really, hard. There will be judgement from others. There will be stares from strangers. You might not have the support of those closest to you. There will be days where you question yourself. There will be times when you question every decision that you're trying to make. But this is your child whom you love more than anything. Nothing - not even a diagnosis - will change that. Love your child, support them, be their biggest cheerleader. 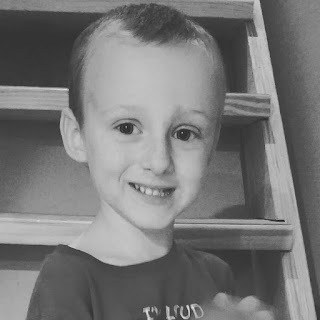 I don't look at my son and see his diagnosis. I look at him and see his sweet personality. I see his sense of humor, his love of music, and his rotten streak. Your child's life might look different than you would have expected. Yours, in turn, looks different too. Take your unique life, and run with it.